Both peoples fought and died to achieve liberty from oppressive governments. Liberty came through the sword, not through endless negotiations, or via elites with degrees in conflict resolution. Governments want, more than anything, to self-perpetuate. That is not how democratic governments usually start out, but invariably maintaining power becomes their raison d’être. Sooner or later governments decide that in order to maintain power they must Balkanize society. They chop it up into ever smaller segments, which they colonize, like cancer cells. The bureaucratic democratic state does not need to establish gulags, nor does it send out death squads. It simply goes to war against the bonds of family and religion. The state does this through a blizzard of uncomprehensible law, executive fiat, the endless flow of regulations, and massive bureaucracies that slowly but surely crush individual initiative and conscience. Taxes are levied in the name of the poor and downtrodden. But the fruits of your labor goes towards maintaining an ever expanding Leviathan state, and the thousands of federal agencies that demand ever expanding budgets and power. Government, we are told, will take the place of family. The cult of personality replaces faith in G-d. Government crushes community in the name of the collective good. The Jews under the Maccabees, fought a series of wars against a brutal, despised tyranny that outlawed circumcision, and the study of Torah. The Assyrian Greeks sought to eradicate Judaism. And yet, there were hundreds of thousands of “enlightened” Jews who were loyal to the Assyrian tyrants. Thus, the Maccabees fought a bloody civil war against those secular Jews who enthusiastically collaborated with the enemy, the progressives of their time. These Hellenized Jews are still with us, still trying to undermine Torah Judaism, and the Jewish state, all in the name of social justice, code for Marxism/Socialism/Communism. Whatever ism is fashionable at the moment. 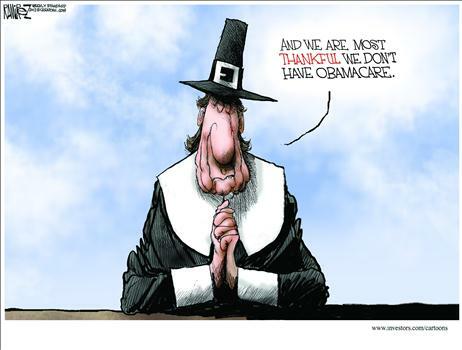 The Pilgrims experimented with socialism, but of course they almost starved. If they had not used their common sense and become a free market society, the great American enterprise might have withered and died. And of course, the American revolution was, in many ways, like the wars of the Maccabees. The few against the many, the weak against the mighty, the individual religious conscience against the collective mob. The circle of liberty is always under attack by forces who know better; by overbred, overeducated elites who have theories about the perfectibility of society. And to make their theories real, they will do and say anything to achieve their goals, because their motives are so pure. But as history and empirical evidence display, those who seek to establish the kingdom of heaven through messianic creeds, always end up creating hell on earth. As proud Torah Jews, and endlessly grateful Americans, Karen and I wish all our friends and relatives a happy Thanksgiving, and an inspirational Chanukah. Chag Chanukah sameach to you and yours Robert! Thanks so much. Chag Sameach to you and yours. May you all have a Happy Thanksgiving and a Blessed Chanukah, from an evangelical Christian who loves Israel and the Jewish people. Great to hear from one of our many Christian Zionist friends. An inspirational Thanksgiving, and HaShem’s blessings to you and your family. Happy Chanukah and Happy Thanksgiving to all!!! So, Chanukah will again fall on Thursday, November 27 . . . in the year 79,811. Thanks so much for the correction. We look forward to the next Thanksgiving Chanukah shidduch. Thanks so much. The same to you and yours. A Happy Thanksgiving to you & yours, Robert. Happy Thanksgiving and Happy Chanukah to all the Avrechs! 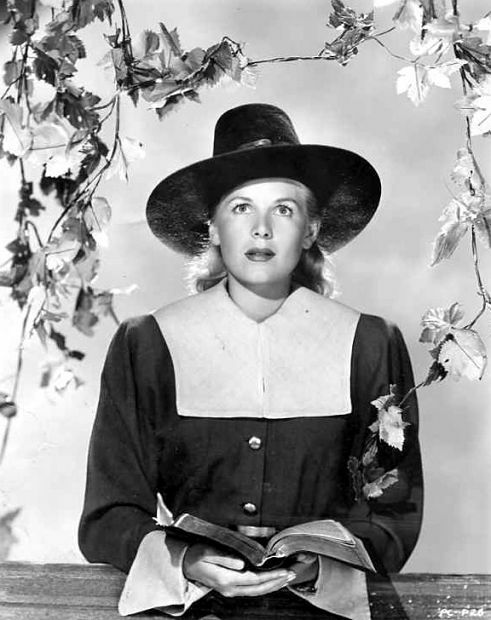 Happy Thanksgiving to you and all the little Dr Carols. The great American Doug Hegdahl said, “An American noticing freedom is like a fish noticing water–you only notice it when it’s gone.” My great hope is we are noticing water. Happy Thanksgiving, and God bless America! Beautiful quote. Thanks so much. Happy Thanksgiving to you and yours. Thank you Mr Avrech. Even by your standards that was eloquent, informative and wonderfully written. I’m going to share it with my soldiers at tomorrow’s dinner. You’re very welcome. G-d bless your soldiers. Let me tell you, being an Assyrian ain’t what it used to be. Nobody’s scared of us anymore, heck they even took away our first a and s in our name. Anyway happy Thanksgiving and Chanukah to you and every one here. Apparently, Thanksgiving was a political football. For many years, its celebration date was a presidential declaration celebrating it on the last Thu of Nov until cousin Franklin used the 1939 declaration to try to force yet another manipulation of the marketplace, hoping that by declaring it a week earlier than before it would trigger more holiday retail sales. He really needed those retail sales to look better because his socialist manipulations of the economy were wrecking it. In 1939, the last Thu was Nov 30. FDR declared it for Nov 23 but did so on Oct 31, only a month’s notice. He had announced on Aug 31 that he was going to change 1940’s Thanksgiving Day from Nov 28 to Nov 21 but didn’t identify his intention about 1939 in Aug. His official proclamations for 1940 & 1941 didn’t happen until less than two weeks before the declared holiday. Chutzpah! Travel plans & college football matches, for instance, were fouled up without enough time to repair. Thank you, Master Manipulator. Not all state governments changed their holiday accordingly. It took a joint resolution of Congress to codify the fourth Thu instead of the last Thu. With the date settled down the states changed their observation dates to correspond, but not all of them did so: Texas was the last state to observe on the last Thu in 1956. According to Gallup, it turns out that Democrats split almost evenly, but in slightly in favor of FDR’s 1939 declaration. Republicans opposed it strongly. Americans overall opposed it. This lead to the idea that the Democrats would celebrate Thanksgiving one week and the Republicans the next. Thus, in the movie, “Holiday Inn,” which the movie “White Christmas” borrowed heavily from, when the calendar animation got to November the confused turkey didn’t know what day to land on. BTW, Rita (Paula) Corday seemed to have been employed often but not getting significant roles. It seems she had a tiny role in “Mr Lucky,” a favorite of mine. IMDB says she had 9 roles in 1943, 2 in ’44, 4 in ’45, 3 in ’46, only 1 in ’47 when she got married, but then no more until 2 in ’51, 3 in ’52, 1 in ’53, 5 in ’54, 1 in ’55, & 1 in ’56. With so few roles and her career still going nowhere she apparently quit to devote herself to her family. She had her 1st child in ’57. Wonderful history lesson. Greatly appreciated. Have a lovely and meaningful Thanksgiving. Had FDR not been a master manipulator the world would have been a far different place. We want these people to have their way — my hope is that they are more effective and more sophisticated than they sometimes appear. And finally, hope the current administration is acting in all of our interests — even when that doesn’t appear to be so. She should be remembered as beautiful, talented and the wife of Harold Nebenzal, who is, I believe, still living. She did not have the career her talent and presence warranted but The Exile was surely more than a forgettable programmer. Thanks so much for your valuable input. A Happy and festive Thanksgiving to you. What you have done on this board has literally been a God send. Thank you. Great discussion! Have a great Chanuka. I hope you and Karen (and your extended family) have a very Happy Thanksgiving and a wonderful Chanukah as well. A happy and luminous Thanksgiving to you and yours.